We’ll visit the capital city of Slovenian Istra (Koper) and one of the most beautiful old towns in Istra (Piran). Our first stop will be Koper – brief sightseeing and some free time to get a cup of coffee. We’ll continue by bus to Piran – sightseeing, see food lunch, and free time. It will be possible to go for a swim. Return to Ljubljana approximately in the midst of the afternoon. The largest city in the Slovenian coastal region is situated in the most northeastern part of Slovenian coastline. 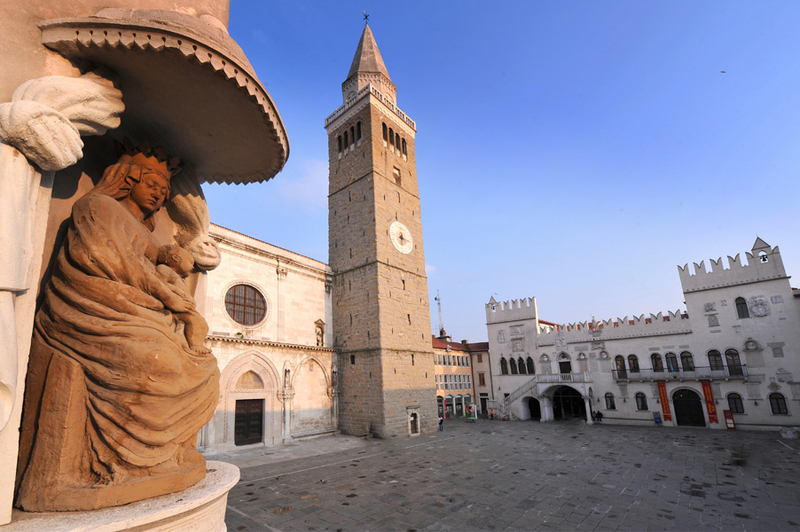 Step by step the facades of the buildings and their interiors reveal the millennial history of Koper, once Iustinopolis, Capris, evoke the era of the Venetian Republic, the golden age of the Gothic and Renaissance – up to the present moment. The city of Piran is a national historical monument. It lies at the end of the Piran peninsula, which gradually narrows between the bays of Strunjan and Piran. It is surrounded by a circular wall. When you visit Piran, you should take a closer look at its architecture, influenced by the Venetian Republic, which left its mark on most Istrian towns. Throughout time, Piran maintained the clustered medieval structure of narrow winding streets, houses huddled close together, rising in cascades, the contact with the sea, numerous squares and churches. The Church of St. George, the patron saint of Piran, rises above the town. From its lookout tower you have a wonderful view of Piran and its surroundings, all the way across the sea to the Croatian and Italian Coast.